Its your 79th birthday and we celebrated it by eating your favourite “bitter gourd” (karela) sambar and some chocolates. 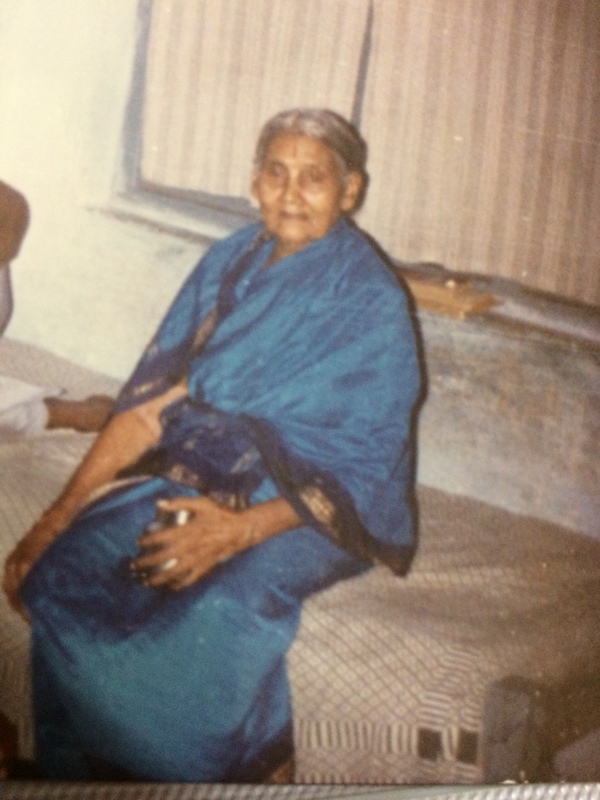 Amma refused to eat the “Jimikand subzi” that she had made and ate the rice with her favourite “mixture”. I have to tell you that she has become quite militant and doesn’t listen to anything I tell her :):). I also pulled out some old photographs and its uncanny to see how much I resemble you dad. 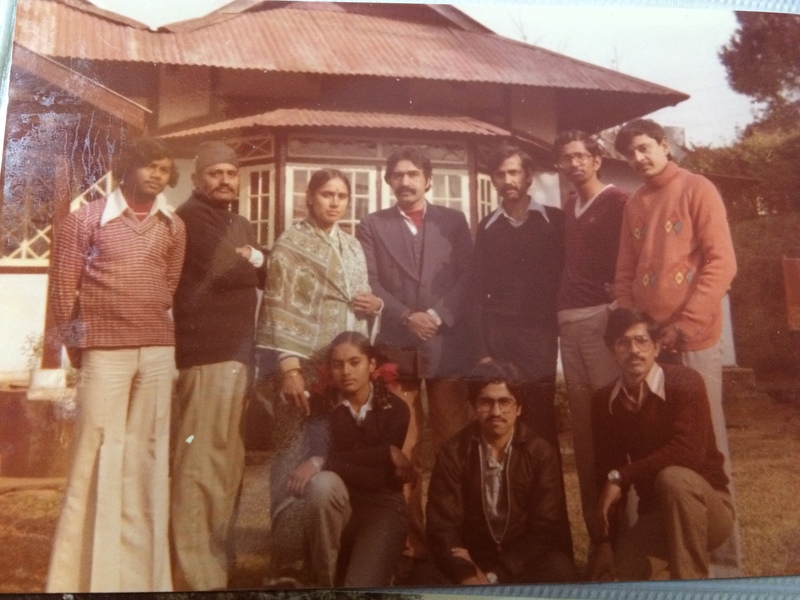 Here’s the one from Shillong 1983-86.. on the BSES lawns at Laitmukrah. Kalyan and Naniah uncle are also there in this picture. You are wearing one of your caps .. you had a fetish for them. 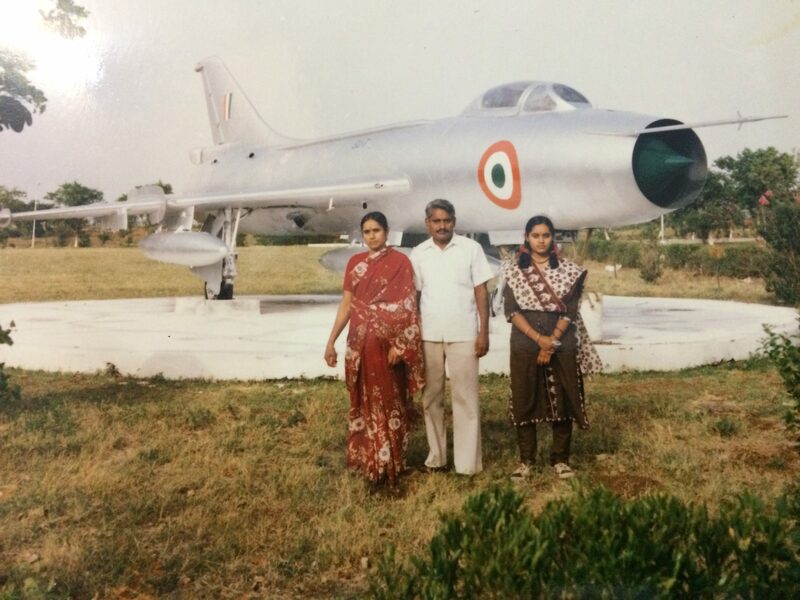 The next picture is from Air Force Academy, Dindigul. I think we took this picture just as we were leaving AFA, after my 12th. 1986.. you were 47 then and already had the salt n pepper hair that I am sporting now when I am 47 :). 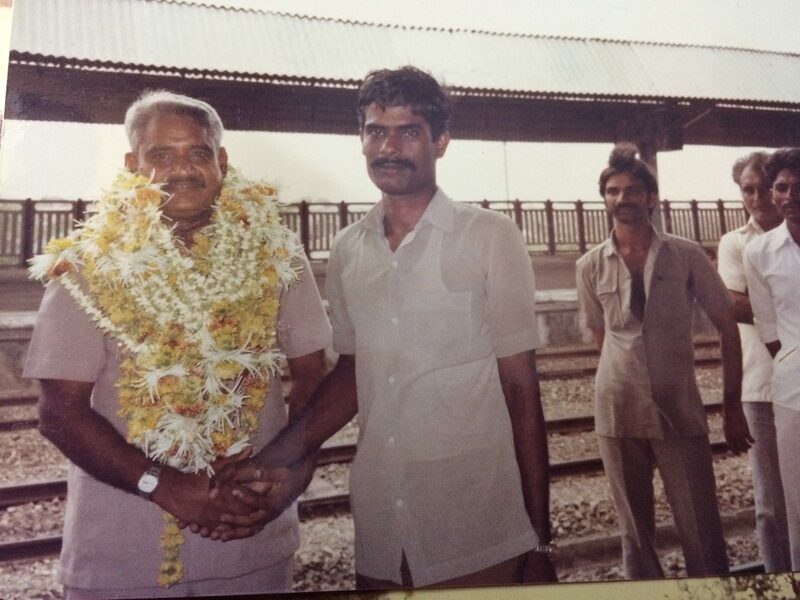 The next picture is from the Jamnagar railway station when you were posted out to Vizag. 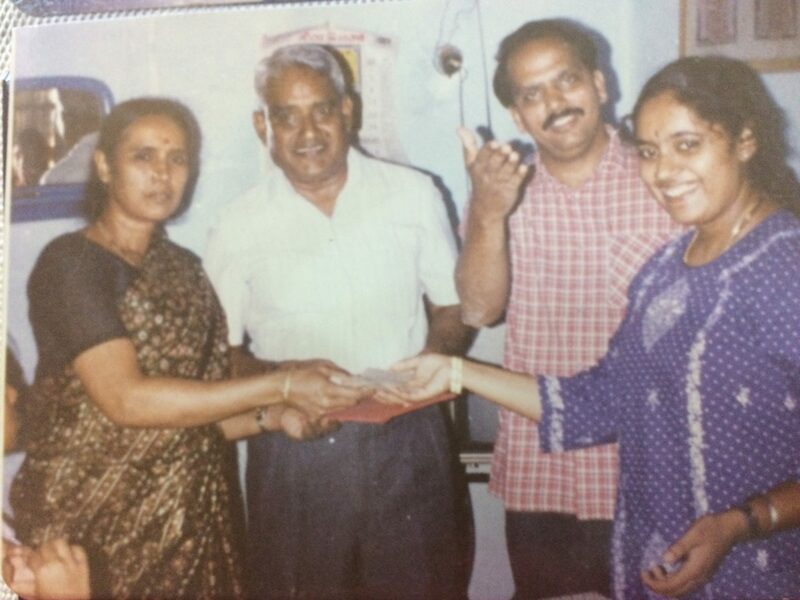 Mookiah uncle is with you in this picture. I was at Hyderabad completing my degree. The next picture is from 1994. We were at Radha Athai’s house to celebrate Krishnan’s birthday and your and Amma’s anniversary. You tried to get Amma to eat some cake and I have captured her denial :):). The resemblance is unmistakable. 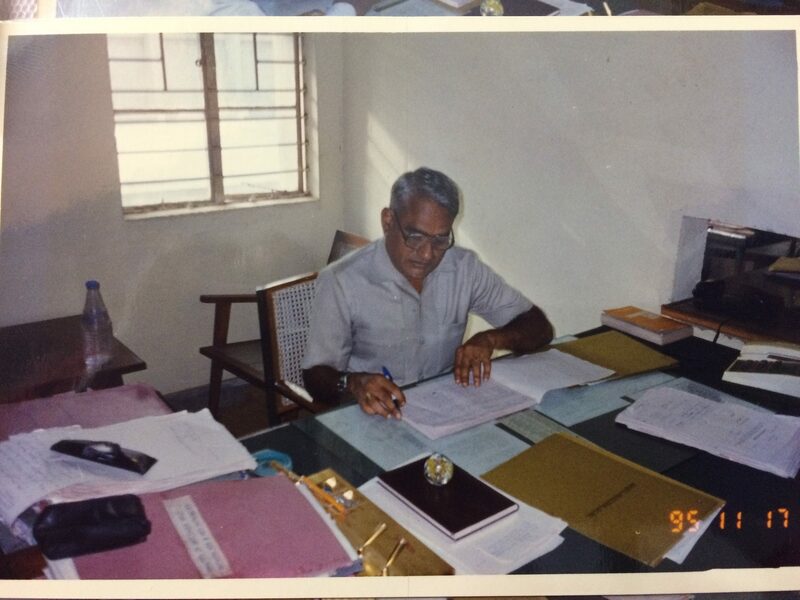 The last picture is from your office in Bangalore as you were retiring … 1995. The city from where you started your career in 1967. The city that you retired from in 1995 and also the city where you breathed your last … in Dec 2008. Your favourite city. Your favourite city though is under a cloud … men behaved like savages on New Year’s eve, but hopefully the police and the public will bring Bangalore back to its glory. Happy birthday Nanagaru. Miss you everyday but then we think of all the happy memories and feel as though you are just amongst us.